The Vice President of Nigeria, Prof. Yemi Osinbajo said that President Muhammadu Buhari may be “poorer” than he was in 2015. He said this while disclosing that Buhari’s assets declaration form he saw indicated that the president was poor. 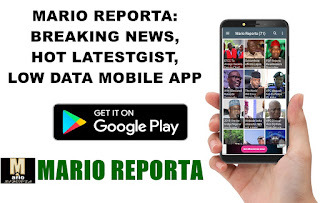 In a statement signed and forwarded to DAILY POST on Friday by Osinbajo’s Senior Special Assistant on Media and Publicity, Laolu Akande, also thanked Nigerians for voting Buhari for a second term. The statement reads partly: “Everybody knows that this was not exactly an easy campaign but I believe that God saw, first the heart of Mr President. “Here is an honest man, and as I said during the course of the campaign, even his worst enemies agree that he is a man of integrity. “In any event, there are many few Nigerians who would have been Minister of Petroleum, Governor of the whole of the Northeast, Head of State, not once or twice, but thrice, and still have just one home in Kaduna and some very modest place in Daura. Very few people are like that. “When I looked at his assets declaration form, I was checking it in 2015, I said to him, “Mr President, I am so much richer than you, it is an embarrassment.” He said, “I am only a soldier, you are a big lawyer so you should have more money than me.” I can tell you that he is perhaps; even poorer than he was in 2015 when I saw his declaration of assets form. “We are all grateful to God for this great victory, and the real heroes are you all seated here today, who went out every day to campaign and talk about what you believed about our government, what you thought this government could do for the Nigerian people.